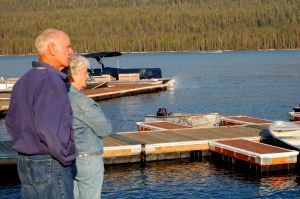 End of life planning with your aging parents. Everything…? What does that mean? “Everything” will have a different meaning at different points in their life… according to their age, according to their abilities, according to their needs. They may say “they have everything planned.” Fine. You still need to talk to your parents. You need to know everything. If you know what to talk about, what to ask, where to look, more than likely you will find gaps in their plans. Starting now, you have time to help them fill in those gaps. There are many thing you will need to know about their plans. A general list is below to give you the wide range of end of life planning topics. You'll find other pages to delve more into the details. Print this page and then circle each item if you do NOT know all the specifics of your parents' plans. What end of life plans do you need to talk to your aging parents about? If your parents haven't made this end of life planning clear in a will or a trust, there will be big trouble. It won't be enough to have stickers on the bottom of dishes or personal items, or your wish to informally divvy up things when your parents pass on. If a legal document does not exist upon their death, the state takes over. You could be in probate court for about a year or more to get things settled. You need to know what they own, what they owe, and have someone legally responsible to take care of it. Again, the state has laws, laws, and more laws regarding end of life planning. Make sure your parent's plans are thoroughly in legal compliance, or the state will be ready to step in. You'll want to make sure you've consulted with the right professionals to get this handled correctly. The tax man will love you if you don't. Thousands of animals end up in shelters each year with a note that their owner died. Do your parents have a plan for their pets? What needs to happen to make it a workable plan? Your mom has been taking care of your aunt for years. What's the plan if your mom is no longer able to care for her? Is there a neighbor that your mom regularly provides meals for? Who else is on the list? All of this should be accounted for in end of life planning. What are your parents' plans for your special needs siblings? Where will they live? What are their finances like? Who will have guardianship and power of attorney for them? Who is medically responsible? Government services are under siege in this economy, and services for people with special needs are frequently cut. Talking to your parents now about their plans is even more important. Do you really know the stories of how your grandparents met? How did they come to live in this town? Where is that recipe book that Grandma wrote by hand? Who are all those people in the pictures? Make sure you and your parents have a plan for passing on the family legacy. At some point your parents may be incapable of making decisions for themselves. It may be a temporary situation as the result of an accident. It may be toward the end of their life. With strict medical privacy laws in place, what do they need to do now so that someone can speak for them if they can't speak for themselves? Unfortunately the end will come. You'll want to know ahead of time if your folks have anything in mind... a favorite song, a poem, a reading, a story. Do they have a place of worship or church or clergy person that they would like to be involved? Particularly if you live in a different state or country, you'll need to carefully think through what it will take to honor your parents' wishes. Do they have a plan for letting everyone know now? You know they have a will. But where is it? Same with the bank records, the medical records, insurance policies, the deed to the house, the title to the car, the stock certificates, all the bills... You won't want to be frantically digging through piles when you need them. Who else knows the plans? Who else needs to know the plans? How do you get your siblings on the same page with all the information? There is a wonderful new documentary helping us all to talk about end of life plans. The film illustrates the gap between what people want at the end of life and the current truth about how we die in America. It also gives strategies for ordinary folks to create a new reality for themselves. Learn more about how to take charge of "the end of my life". Making end of life decisions can't be easy. You'll need a framework of understanding to be able to talk to your aging parents and to get your own perspectives out of the way.